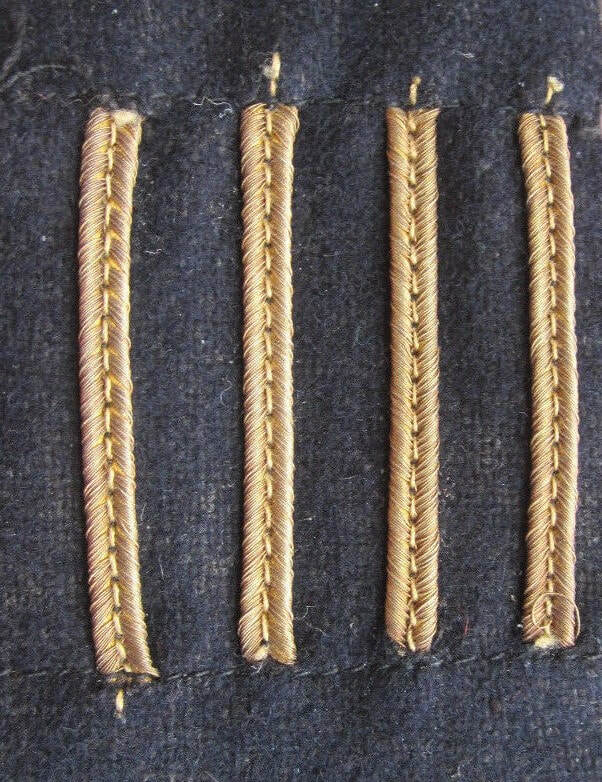 Introduced in early 1944, a thin 1.5 inch gold on blue wound stripe was introduced for Civil Defence personnel injured in the course of their duties. 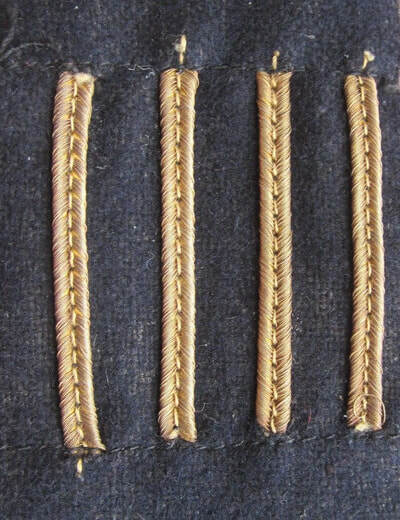 The designated position (as per ARP Memo 17) was midway between the sleeve seams with the bottom of stripe four inches from the end of the sleeve. Only one red stripe (for wounds in a previous war) could be worn but multiple gold stripes could be worn for injuries incurred during WW2. Gold were worn forward of the red, separated by half an inch. Eligibility was laid down in H.S. circulars. 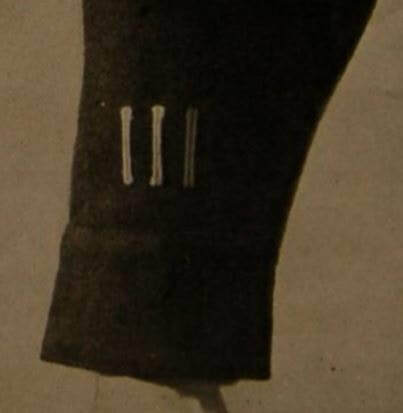 Wound stripes could be worn on all uniforms except greatcoats and nursing uniforms. WW2 Civil Defence wound stripes. 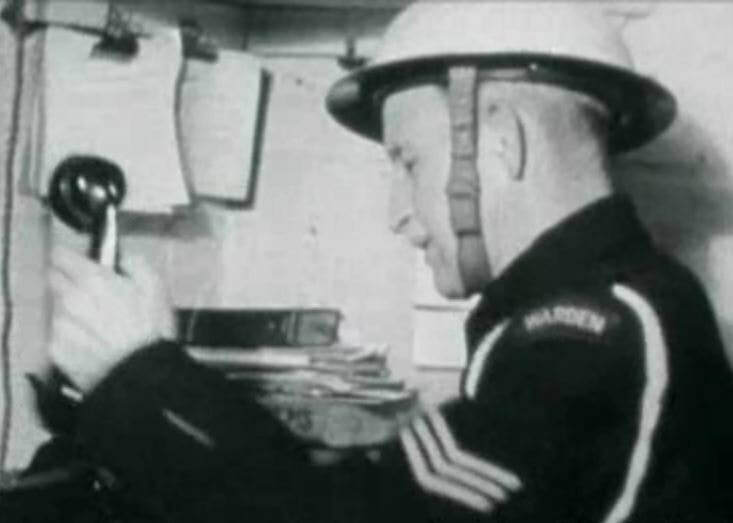 A Post Warden with wound stripe on left lower sleeve. If the recipient has received a wound stripe as a member of the armed forces (for example, during the first world war) and then joined the CD they could wear a single red stripe. To submit original wound stripe badges please send me an email via the contact page.